The V490 is a 5 RU server and gets over five times faster performance compared to UltraSPARC III-based Sun Fire V480 servers. It can hold up to four processors per box with eight threads and 64GB of memory. CPU Combine up to four 2.1 GHz UltraSPARC IV+ processors. Combine up to four 1.8 GHz or 1.5 GHz UltraSPARC IV+ processors and/or 1.35 GHz UltraSPARC IV processors. 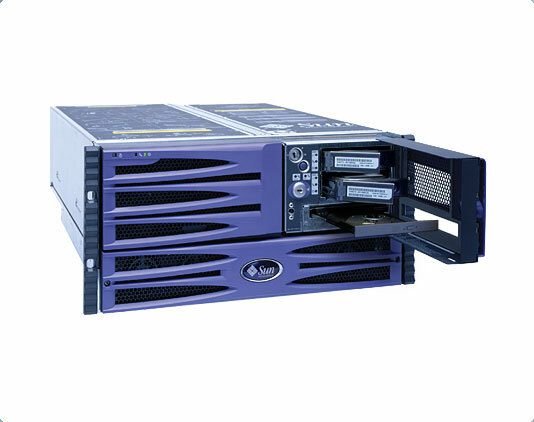 For pricing on new or used Sun Fire V90 servers, upgrades or parts, please contact Vibrant sales at sales@vibrant.com or call 888-443-8606 or 952-653-1700.